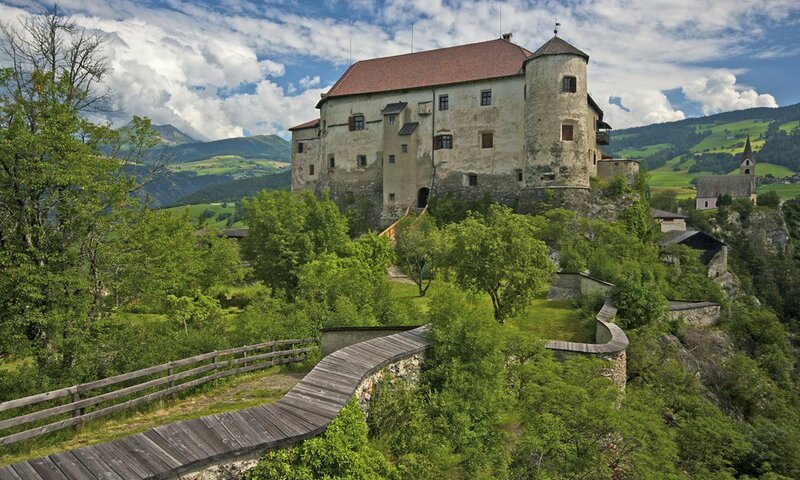 They call it unconquerable and splendid – this truly mighty castle rises on a rock above the striking Rienza Gorge. 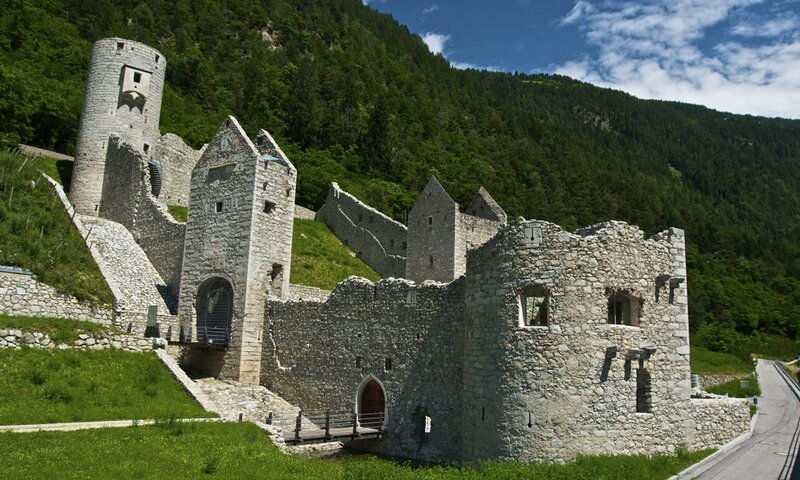 Today, it still is one of the largest fortifications in South Tyrol. Its present appearance dates back to the 16th century, when the Counts of Wolkenstein resided here. Many myths and legends arise from the Rodengo Castle. In the drinking hall, you may discover some, because there the Iwein Epic of the medieval singer Hartmann comes alive in impressive frescoes. In the Middle Ages, this castle-like road barrier was a customs station. You had to pay a fee to pass through. The insurgents in the peasant wars in 1526 and during the war against Napoleon, the Mühlbacher Klause hosted plenty of battles. Today you can pass the bulwark passing through the valley – however, a visit is worthwhile. Did you ever want to discover how Loden materials from South Tyrol are made in a traditional manufactory? 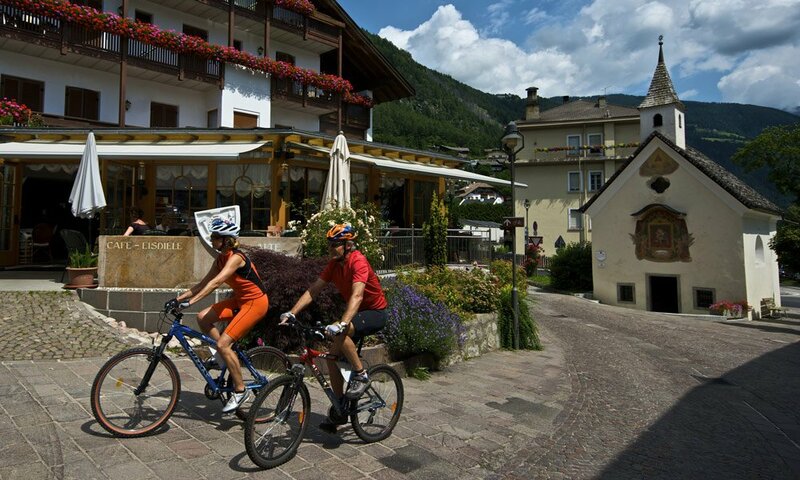 In Vandoies (along the Pusteria Street), you may visit the traditional manufactory Loden World, and you may purchase their excellent products in the factory outlet. In Gitschberg Val Giovo there are many interesting churches and chapels, as well as in your holiday village Maranza. In the surroundings, the Holy Grave Chapel from the 17th century in Spinga is worth a visit. It reproduces the grave of Christ, which is very rare for European places of worship. The Floriani Chapel in Rio di Pusteria from the late Middle Ages and the wayside chapel “Stöcklvater” are other sacred treasures you should not miss. The Counts of Wolkenstein have left their mark everywhere in South Tyrol and dominated the country; also the former courthouse in Rio di Pusteria, which the counts had turned into a noble residence. This lovingly restored edifice is one of many beautiful buildings from ancient times that still determine the townscape of Rio di Pusteria. While strolling through the municipality, you should always look out for such stone monuments from bygone eras.